Is this for real, or marketing/spam/phishing? 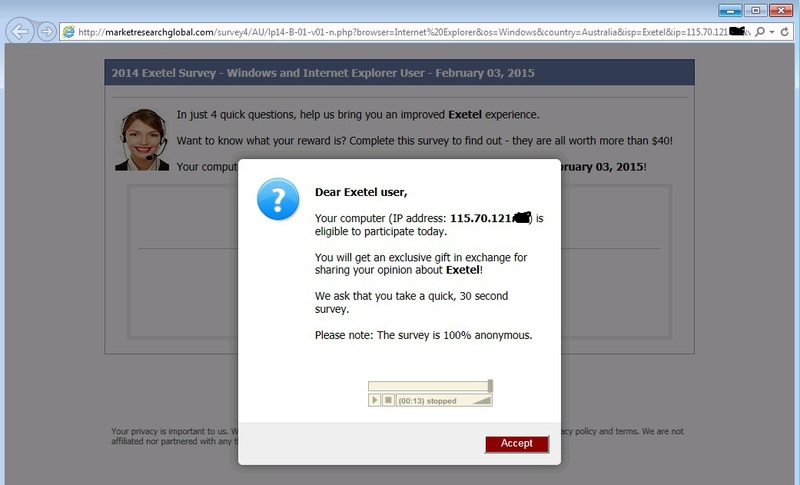 Re: Genuine Exetel survey or spam/phishing? Appears to be phishing scam and definitely not Exetel.